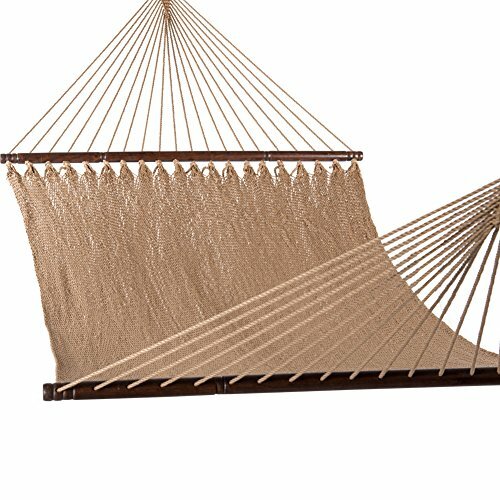 If you are desired for a getaway from life's all stress, this beautiful tight weave hammock is worth your while. Hand woven from soft-spun polyester rope by skilled artisans, it is not only comfy but also provides superior support and years of enjoyment. This hammock also features the hardwood spreader bars for lasting support and comfort. As well, it's available in 6 colors with more coming, so you can find your best fit. Throw off all stress and enjoy your life easily with this Polyester Hand Woven Caribbean Hammock! If you have any questions about this product by Lazy Daze Hammocks, contact us by completing and submitting the form below. If you are looking for a specif part number, please include it with your message.